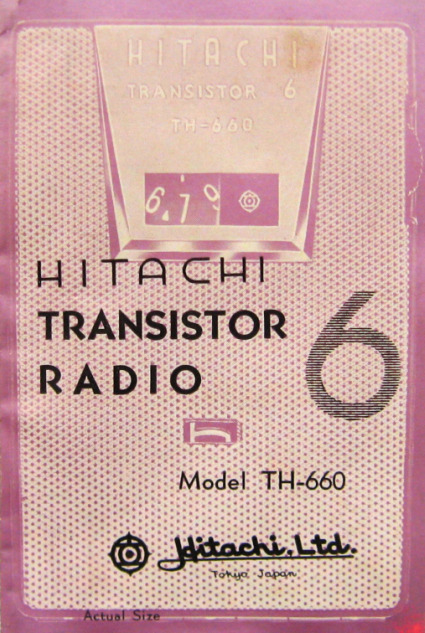 This Hitachi TH-660 was manufactured in Japan circa 1961. It is a progressive design, simple and elegant with clean uncluttered lines. With its all metal front and sheerform styling it is similar to several Sony designs released around the same time specifically the TR-730 and TR-630. 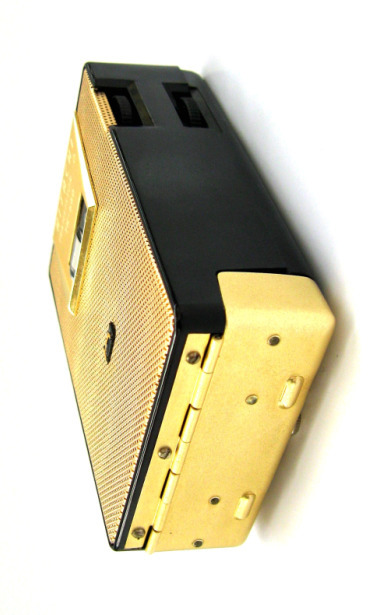 During the early 1960's many radios coveted by today's collectors were still being manufactured with large slabs of under-painted plastic, plastic louvers, prominent tuning and volume dials, bold badges etc giving them a detailed, busy look. 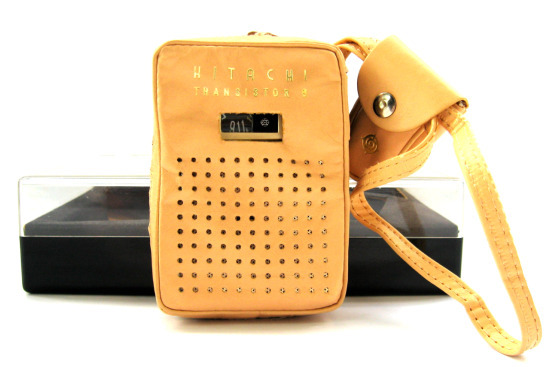 For a shirt pocket radio this was a real departure from that although it should be noted that Hitachi generally kept their previous designs fairly simple. 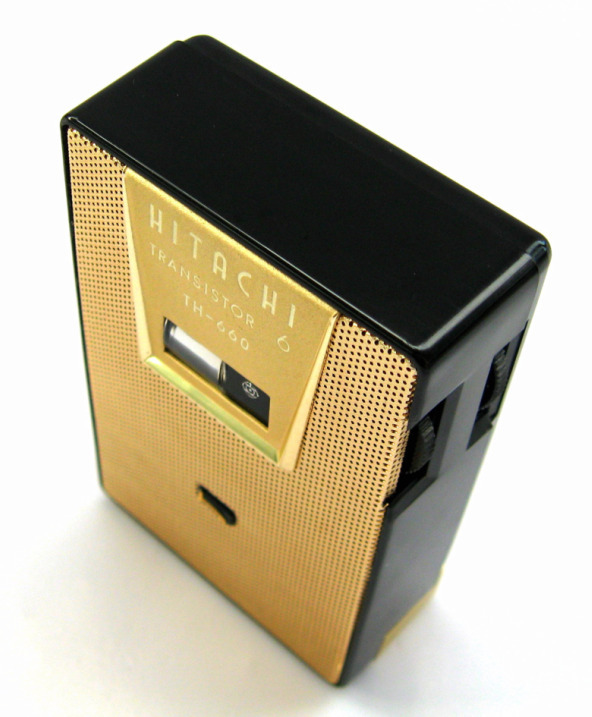 Interestingly this was Hitachi’s first transistor radio exported to Britain. It was offered for sale in 1961 for £9.11s.4d. (Ref: Radio! Radio! – Third Edition by Jonathan Hill). 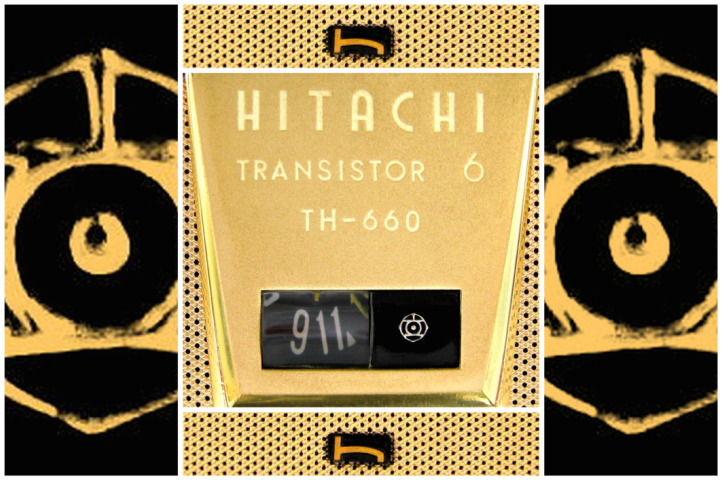 The gold mesh speaker grill on this TH-660 reminds me of the gold foil found in an old packet of cigarettes, it’s about the same size as well measuring 2.56" W x 3.68" H x 1.12" D (65 x 93 x 28 mm). The small circular Hitachi symbol on the face is under-painted. The numbers marked on the thumb-wheel tuning dial are coloured white with the last number at either end coloured gold. I assume that this is a warning to the user not to turn the dial any further because it's likely to break if forced. There is a small 'h' badge set in the center of the speaker grill. 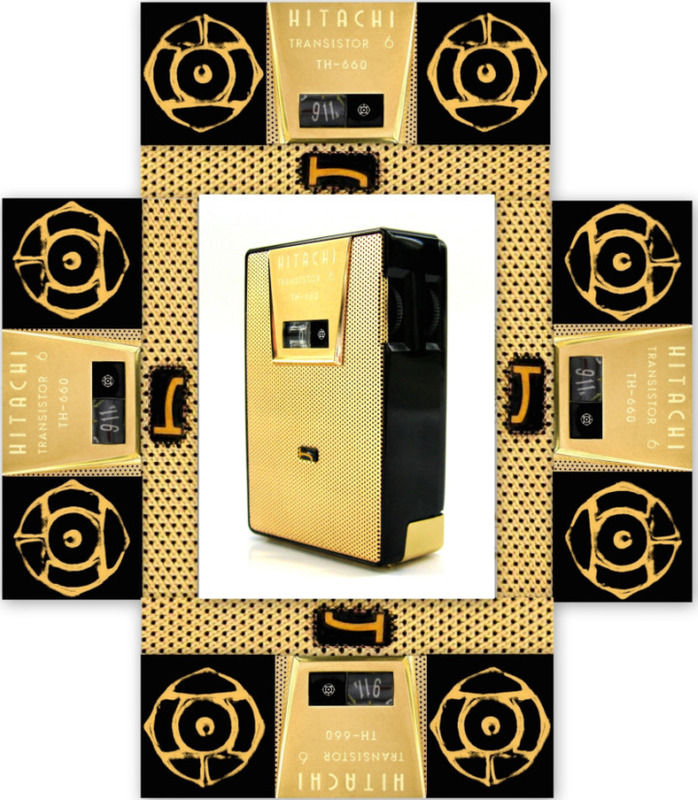 I have seen these radios coloured red, white and black, all with the same gold metal face. The back of this radio is interesting. 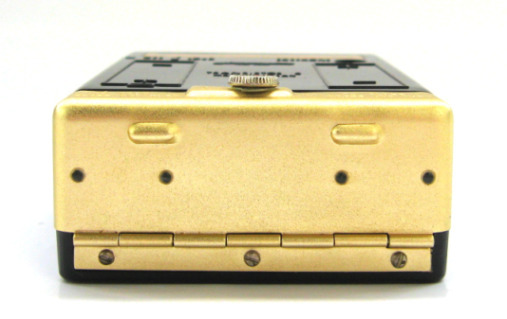 It has a gold metal insert detailing the model number and what batteries to use. Below this is a simple diagram stamped into the plastic that reveals how to insert the two penlight batteries. This information is normally found inside the radio cabinet. 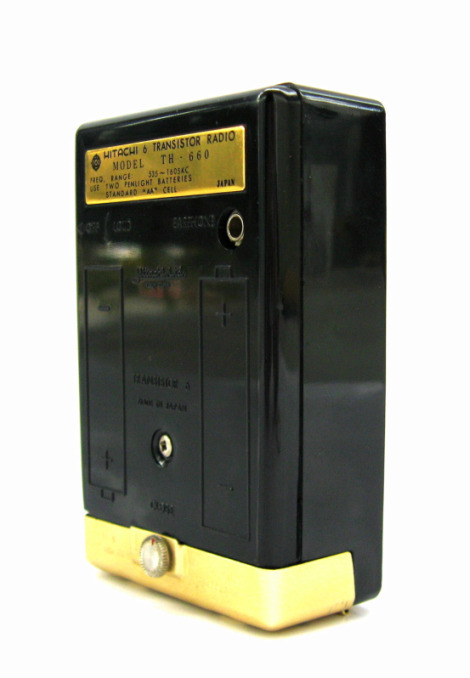 The bottom of this radio has a hinged aluminum door that opens via a spring loaded screw to reveal the battery cavity. It has two small feet on the bottom to offset the battery door hinge. To access the circuit board a single screw is removed. 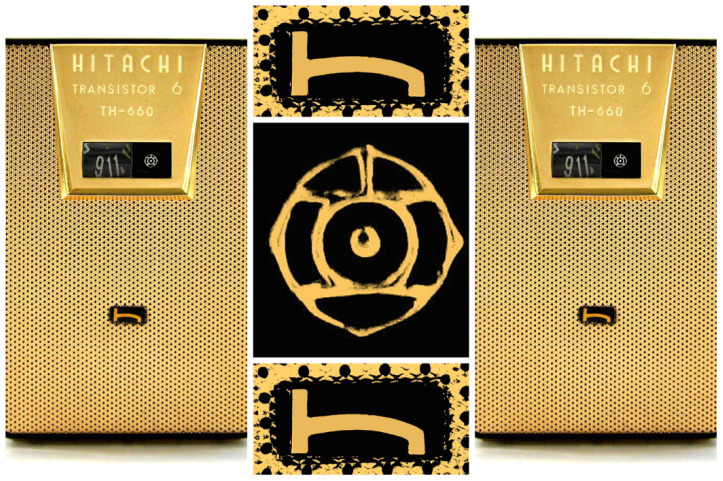 Hitachi, Ltd (株式会社日立製作所,) was founded in 1910 by Namihei Odaira as an electrical repair shop. Their first product was a 5hp electric motor. In 1924 they manufactured Japans first electric locomotive and in 1932 they manufactured their first electric refrigerator. 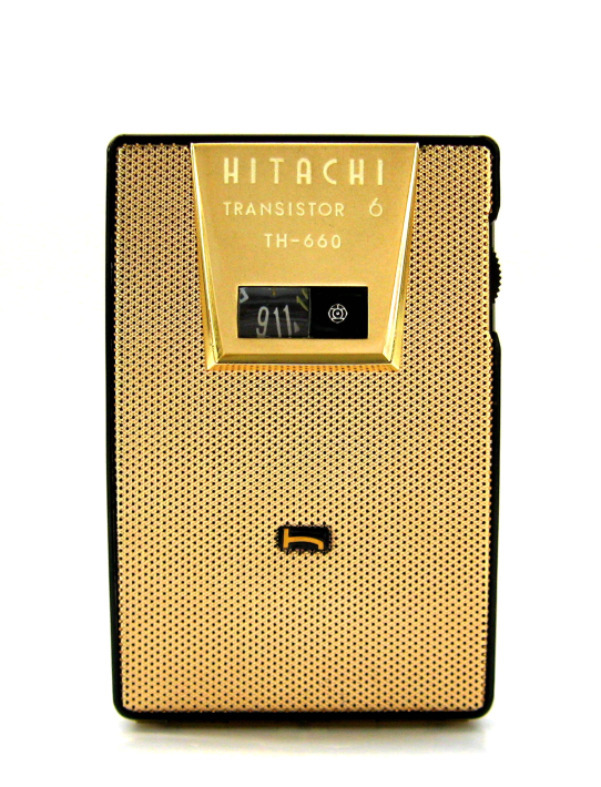 Hitachi manufactured their first transistor radio, the TH-669 in 1957. In 1958 they were awarded the Grand Prix medal at the Brussels World Fair for their work work on the electron microscope and other scientific equipment. 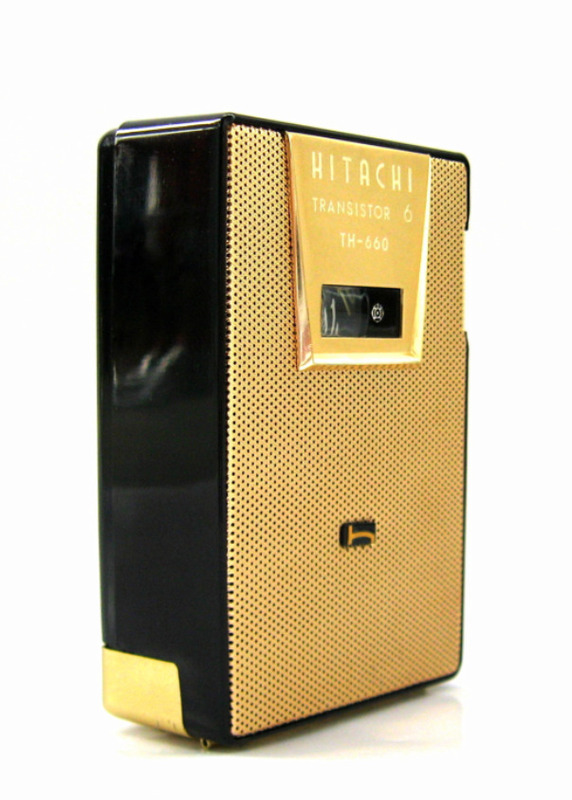 A November 1959 Billboard Magazine article states that at this time Hitachi was Japans biggest single manufacturer of transistor radios and components. This may or may not be true as I've also read similar references to both Toshiba and Sony. 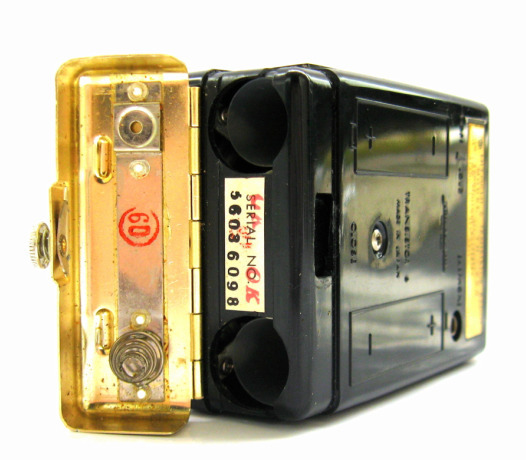 By 1961 Magnavox, who comes in at 2nd place were already selling Japanese manufactured radios alongside Motorola (Ref: Billboard Magazine 3rd of March 1961) . 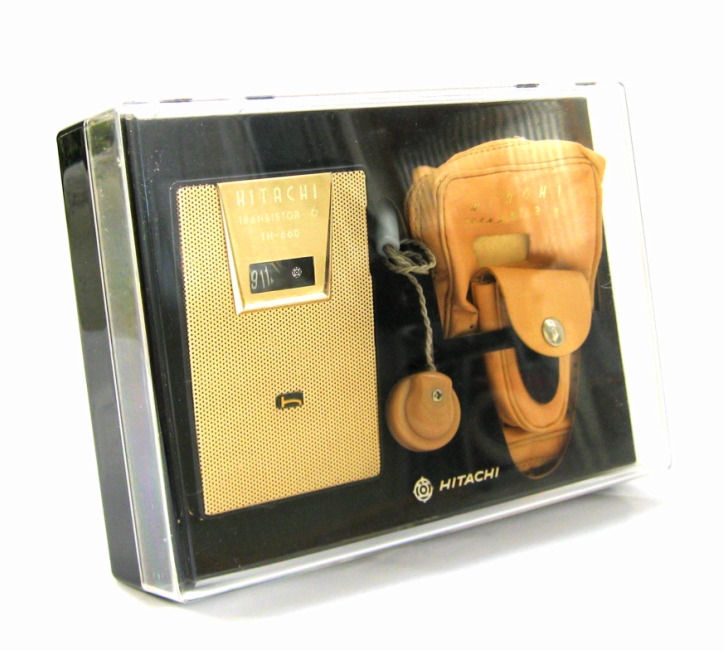 This Hitachi comes with a pig skin carrying case, pig skin earphone holder, earphone, instructions, schematic diagram and Warranty Card. 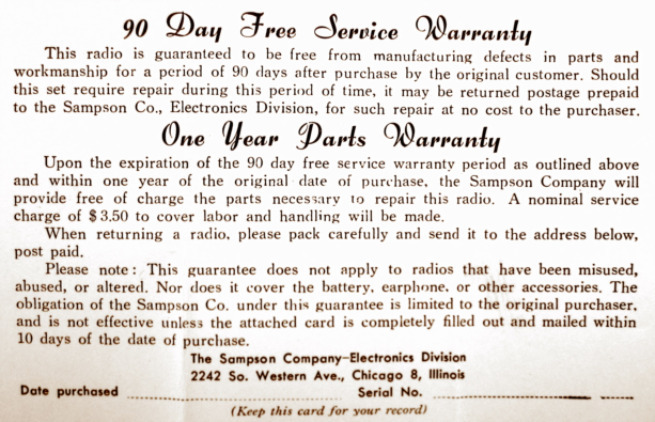 The one year warranty is handled by 'The Sampson Company' of Chicago Illinois. It also comes with an unusual clear plastic gift box. 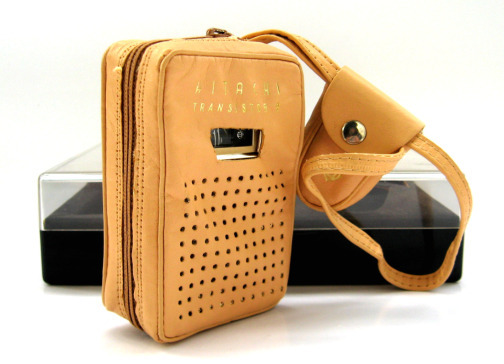 I've also seen this radio with a more traditional cardboard gift box. 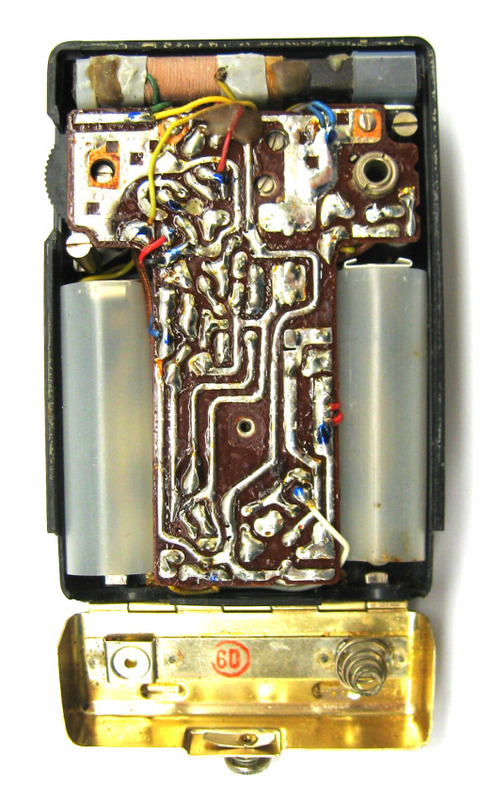 That battery compartment is a really great design and very unusual for this time period. 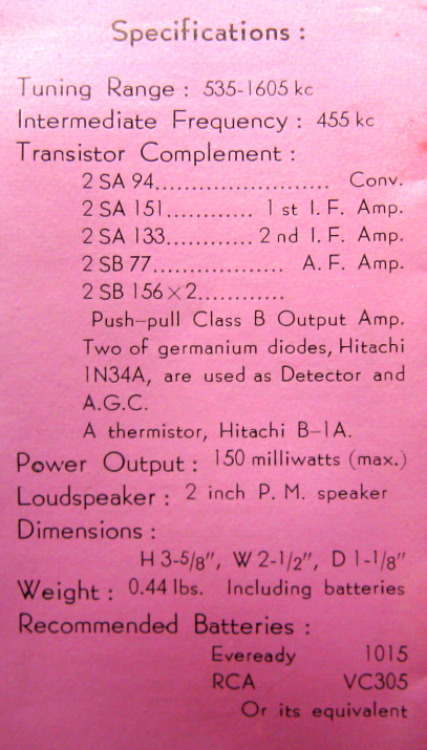 Hitachi engineers and design people were real craftsmen! 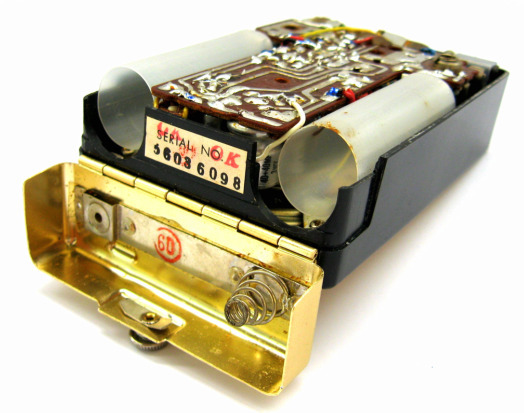 This radio uses 6 transistors.